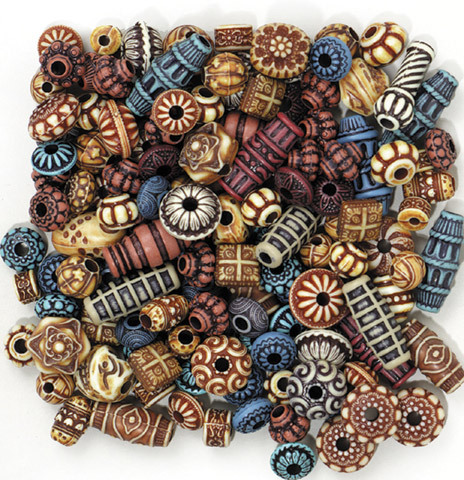 Intricately detailed and exotically colored these decorative plastic beads are perfect for lacing, collaging, jewelry making and more. Available in a 4 oz. bag. Intended for ages 3 years and up.